Chelsea have been handed what looks to be a potentially big transfer boost with latest rumours surrounding Paris Saint-Germain striker Edinson Cavani. Recently linked as a target for the Blues by Calciomercato, it’s now being claimed that PSG are trying to sell Cavani for around £54million, according to Don Balon. That piece from the Spanish outlet, however, seems to suggest a move to Real Madrid could be more likely for the Uruguay international at the moment. Los Blancos are also in need of a big signing up front after selling Cristiano Ronaldo to Juventus in the summer, but if Chelsea remain interested as Calciomercato recently claimed, then this has to be encouraging news for them. 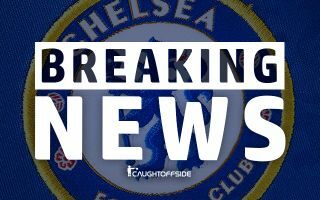 CFC have been linked with a number of strikers this January as the need for a top class replacement for the struggling Alvaro Morata is obvious. Marca have linked the west London giants strongly with Gonzalo Higuain, but another Calciomercato report suggests that deal may not be as far along as has been suggested. If that is the case, turning their attention to Cavani could be a very sensible move for the Blues, with the experienced front-man one of Europe’s most clinical finishers in recent years.